Think that sending a “thank you card” is a bit old fashioned? Well, that’s exactly why it’s a great marketing tactic – very few businesses bother to do it! Yet this simple, low-cost gesture will help your business stand out from your competitors. Why it’s important to say “thank you” in business. How to decide if this is a viable, cost-effective (and time-efficient) marketing tactic for your business. When to send “thank you” cards. Design tips: what should be on the front of your card? And should you handwrite the inside – or get that pre-printed as well? Why it’s a good idea to put some nice goodies inside the envelope. 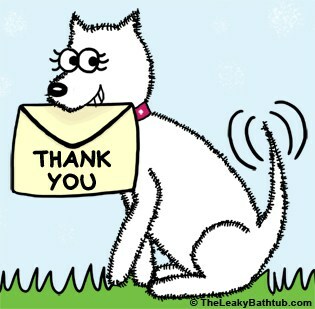 Why consistency is important when sending “thank you” cards in business.